All albums are delivered in a standard leatherette album case however for the more discerning couple looking for the highest quality there is an option to upgrade this to a full leather album case. 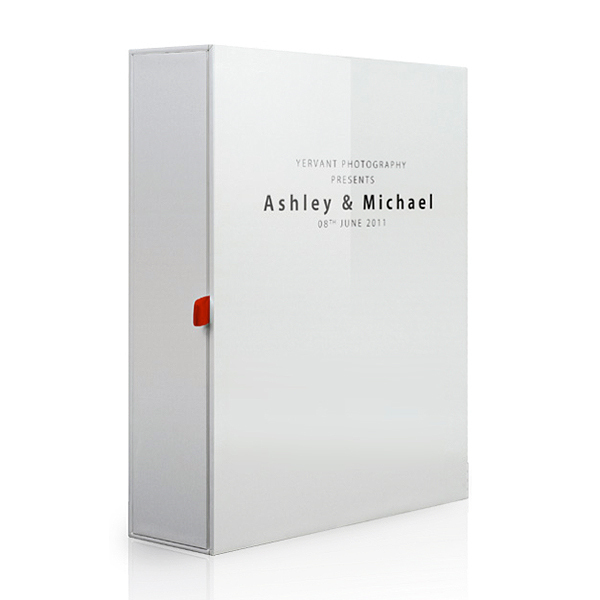 There are also a number of alternative optional extras that allow you to store and display your wedding album in a unique and modern way. Available in either leather or leatherette, these coordinated sleeves add a touch of elegance to the book, matching its cover and spine for a classic and timeless result. 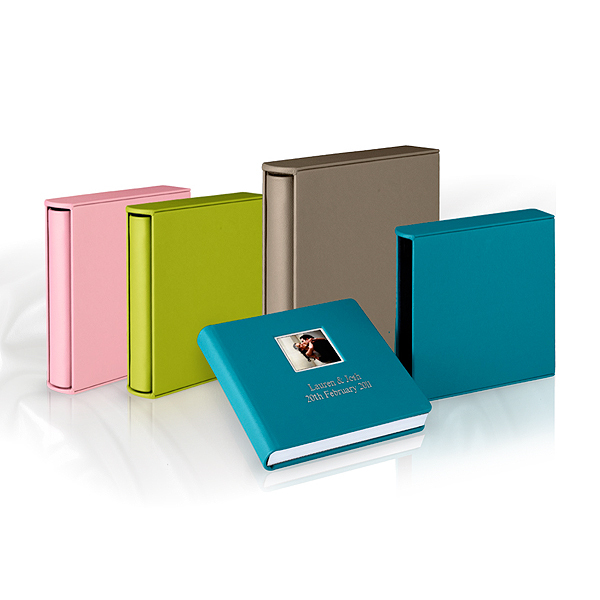 parts, a base that holds the book (available in different finishes), and a transparent cap to show the album off while keeping it safe and dust free. A new line of accessories to give you even more options to choose from. 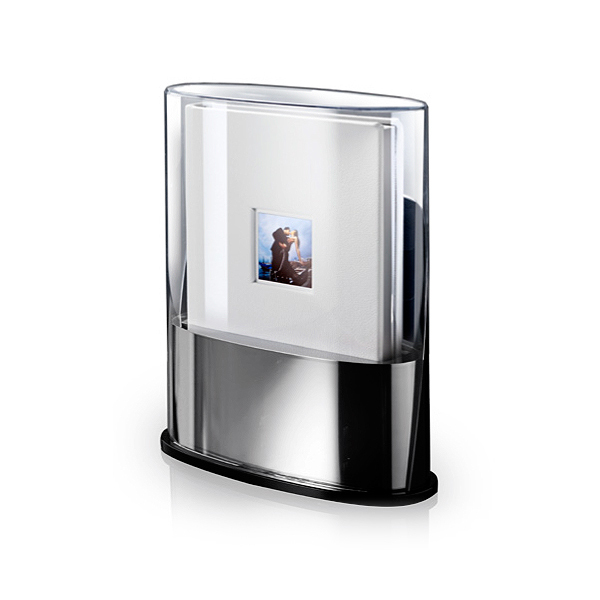 These high quality boxes have been designed to accommodate different tastes and requirements, especially as they are highly customizable by printing your images directly on the surface of the box itself.